RV mods and upgrades don’t always have to take weeks or months. These simple ideas from iRV2 members should only take you about an hour or less and they’ll make a huge difference. 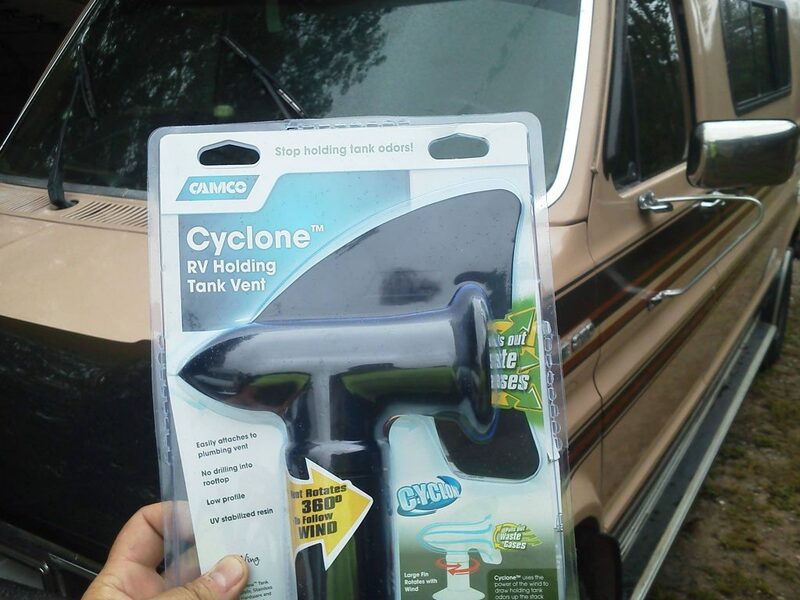 These holding tank vents can be attached to your RV’s plumbing vent to get rid of black tank odors. They rotate 360 degrees and use the power of the wind to draw the smells up and out. Installation only takes about 10-20 minutes using silicone or roof sealant. No drilling needed! 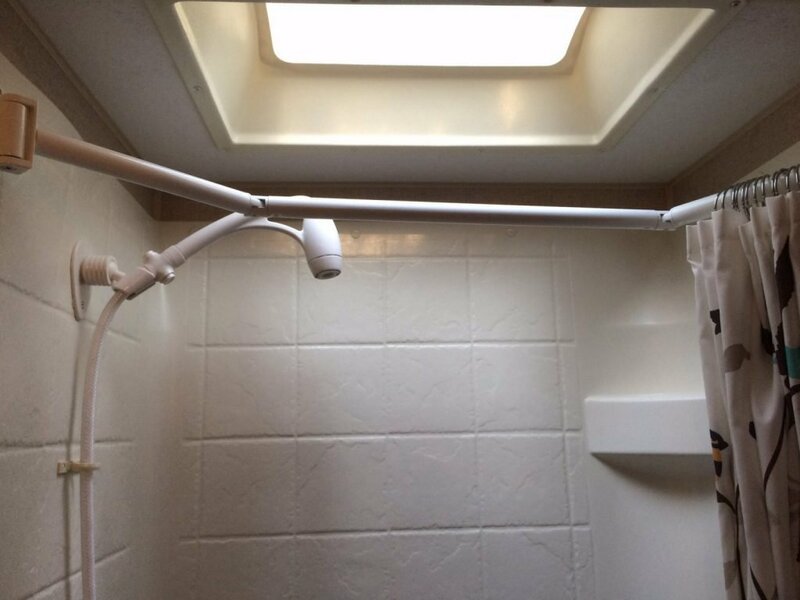 Swapping out your RV’s showerhead with an aftermarket option will give you longer, nicer showers. The Oxygenics BodySpa showerhead uses less water and has a better water pressure than the standard factory-made showerheads. They can be installed in only 10-20 minutes using a screwdriver and some Teflon tape. You can read more about the Oxygenics showerheads on Do It Yourself RV. With a keyless touchpad lock, you won’t have to worry about taking your keys or fob while you’re out for the day; the door can easily be unlocked with a 4-digit pass code. 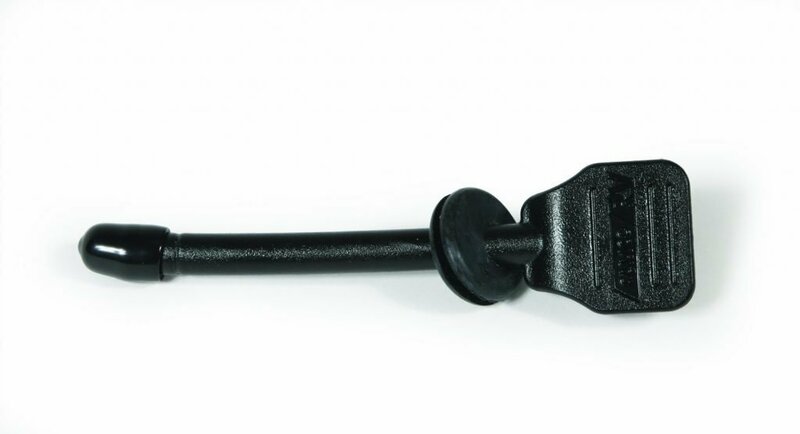 The locks can be installed in only 10-20 minutes without any wiring. They’re available for travel trailers and motorhomes and powered by AA batteries. Read more about upgrading your locks in this RV Life article. 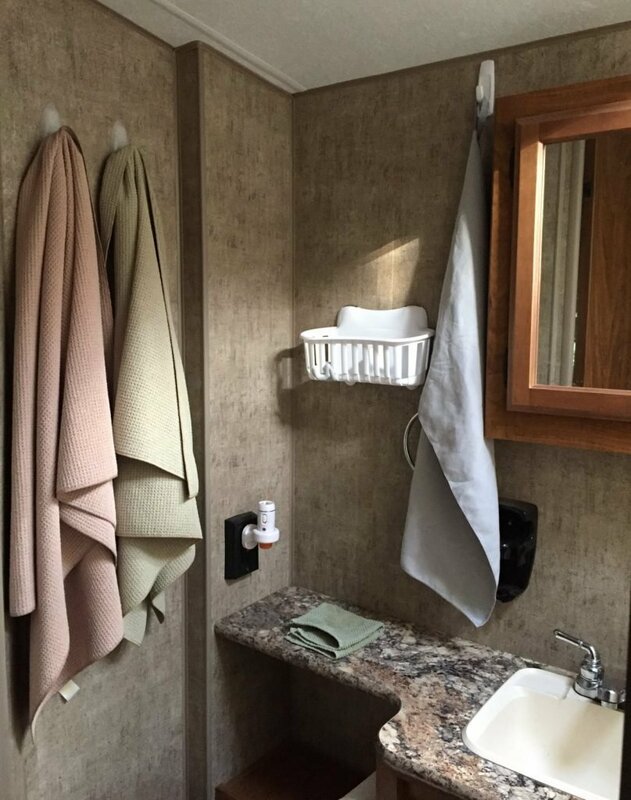 You can mount almost anything in your RV with Command Hooks. The brand makes small, medium, and large utility hooks, as well as a wide assortment of other hanging strips. The durable large hooks can hold up to 5 pounds, meaning you can use them to not only hang towels but also lightweight baskets on the wall for extra storage. 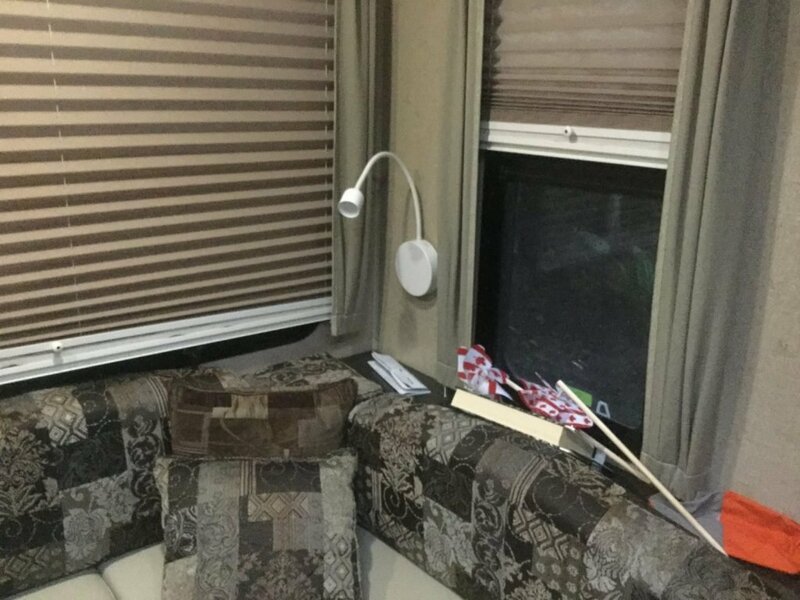 Check out our post here for more ideas on how you can use Command Hooks around the RV. If you have the type of RV that requires you to open the slide to open your screen door, then you’ll love this inexpensive fix. You will need to drill a hole in the small sliding door, but aside from that, installation is a breeze and can be done in a matter of minutes. The openers are less than $5 on Amazon. 6. 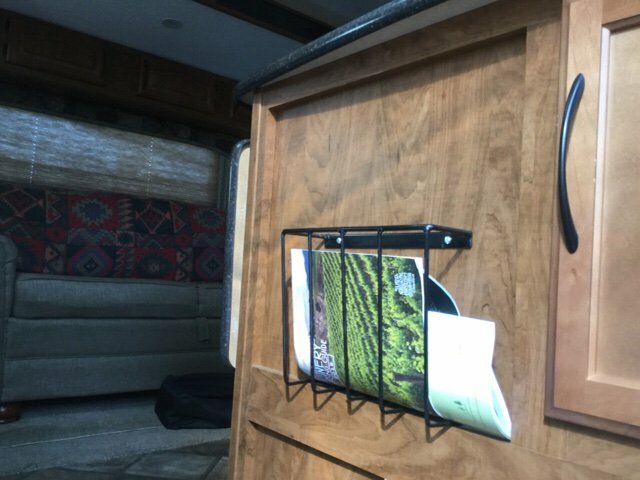 Mount a wire rack to hold magazines, brochures, receipts, etc. Mount a wire rack on the wall or anywhere you have open, usable space. They can hold magazines and books, as well as important papers, brochures, campground maps, receipts, and other documents that you would like to keep organized. 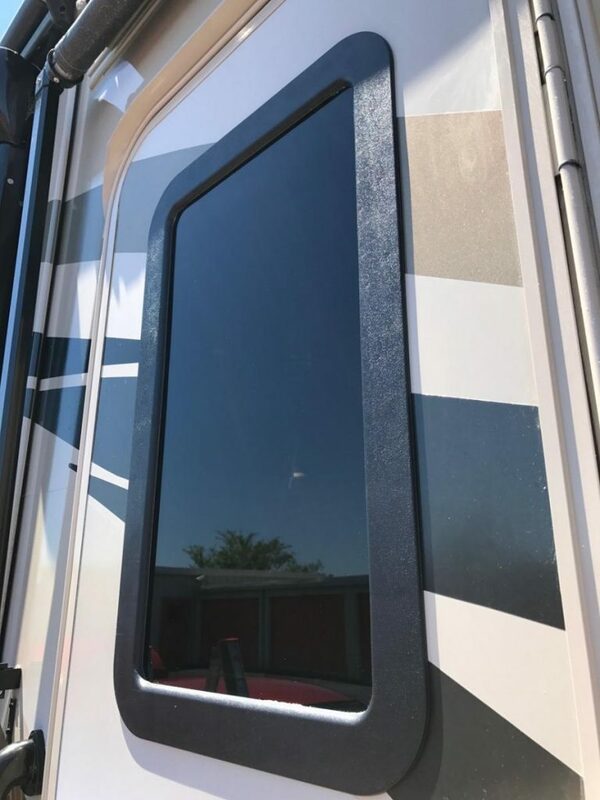 If you’d like to be able to see out your camper’s door window, it’s fairly easy to replace the existing window with this tinted one from AP Products. It also comes with a sliding shade so you can block out the sun as needed. You could also use these lamps anywhere you need extra light, like in the bathroom or under cabinets. Since they only require AA batteries, no wiring, drilling, or power is needed. What do you do when the batteries run down in your new door locks? I always carry a key. One lock-out was enough for me. Q: What do you do when the batteries run down in your new door locks? A: You use the key. The combo option is for convenience, but if the RV is in storage, or you’re going to be away long enough for the batteries to run down, you’d better take the key. Failing that, a decent locksmith will make quick work of this with a lock pick. 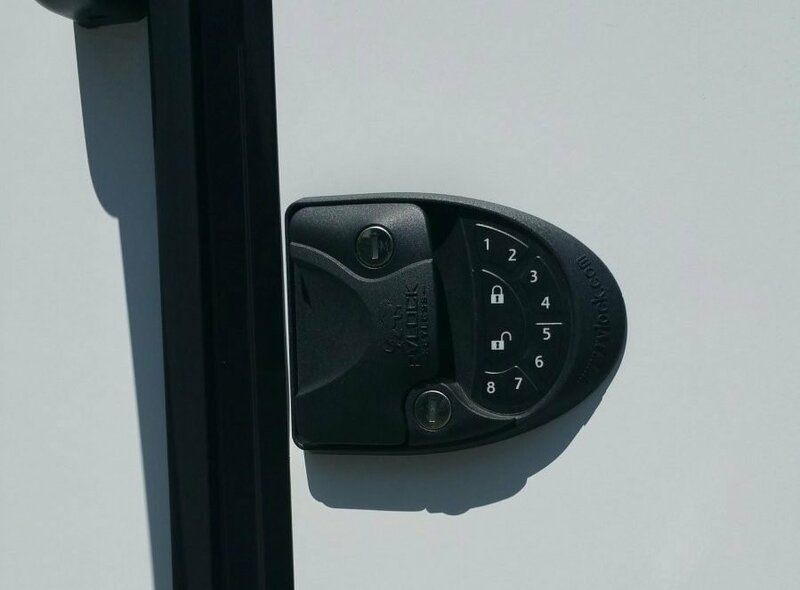 None of these RV locks are especially high security. Further, you need a regular schedule (annual?) to change batteries so that leaky corrosion does not ruin a $300 lock? You open it with the key that came with it, that you have hidden away in a safe place. If you can open the NEW door lock by using a number code OR a KEY why buy it??? Much more. Secure than the original that so few keys fit so many. The key is a backup, just like on houses with similar locks. We rent RVs and we offer some storage tips to our renters that are not permanent. One of them is to use the over-the-door shoe organizers instead of those command hooks. We have had so much wallpaper destroyed because of those darned hooks.